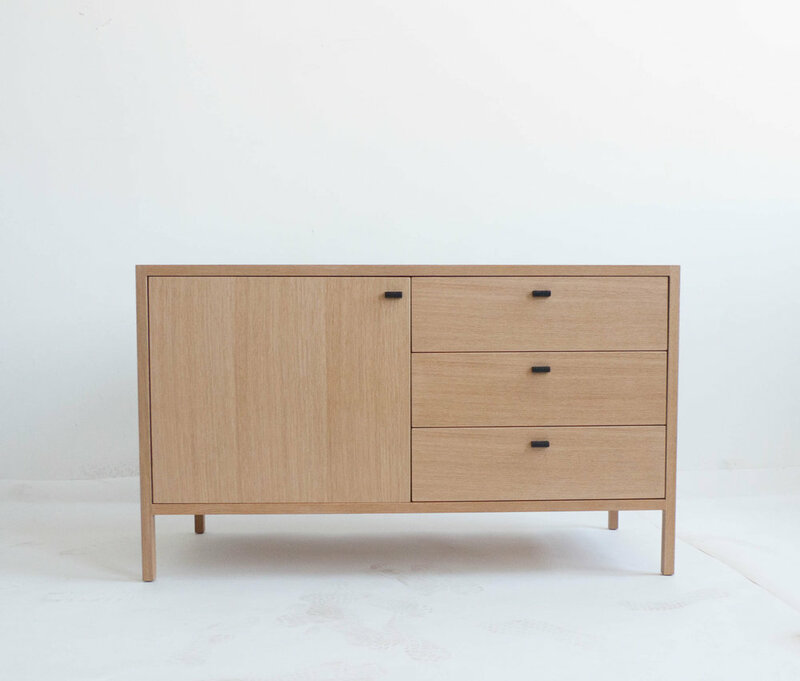 The Laska credenza is built in our Brooklyn studio using premium hardwoods and thoughtfully selected wood veneers. This piece features custom veneered panels framed flush with solid hardwood edges and legs. The three solid wood drawers ride on soft close under-mount slides. The interior features a centered cord exit and an adjustable shelf. Perfect for everything from a media unit to an office cabinet. Shown in quartersawn white oak, with custom ebonised door and drawer pulls.